We’d love your help. 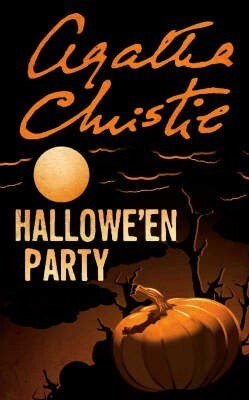 Let us know what’s wrong with this preview of Hallowe'en Party by Agatha Christie. To ask other readers questions about Hallowe'en Party, please sign up. Reenah That's it. If they didn't say it was a Hallowe'en party, you wouldn't really think this has anything to do with Hallowe'en at all. ''The past is the father of the present. The ''crime'' writers who write like Christie are few. The ones who try to write mysteries similar to her own are non-existent. I may sound harsh, but those who struggle to imitate her should take a step back and reconsider. And why is that? Because she understood, embraced and elevated to a whole new level the implications of the past when facing the present. As horrible as a present situation may be, the roots of all evil lie in the deeds of the past. ''The past is the father of the present. The ''crime'' writers who write like Christie are few. The ones who try to write mysteries similar to her own are non-existent. I may sound harsh, but those who struggle to imitate her should take a step back and reconsider. And why is that? Because she understood, embraced and elevated to a whole new level the implications of the past when facing the present. As horrible as a present situation may be, the roots of all evil lie in the deeds of the past. This is present to every work of the Queen of Crime. In my opinion, ''Hallowe'en Party'' delivers this notion in a highly atmospheric manner and presents one of the most elaborate crimes Agatha ever delivered. 13 year old Joyce, a little busybody who wants to be in the centre of attention, is found murdered in a tub filled with apples, in a twisted apple-bobbing game on Halloween. Hercule and the wonderful Ariadne Oliver are called to solve the crime. In this work, sexual passion and obsession are the motives that guide each suspect and there is a plethora of fascinating stories of people attracted to beauty, vice and a twisted notion of love. Agatha creates a unique atmosphere, with prominent descriptions of the Halloween festivities, the beautiful garden, the temptations that guide the characters to questionable deeds. The snapdragon scene, a haunting game that isn't included in many works of Fiction, is among my favourites in all of Christie's novels and stories. Not to mention that I love Ariadne to pieces. I think she's an exciting character on her own and the proper equivalent to our beloved Hercule. And, naturally, the ITV film production was perfect, despite some deviations from the novel. I am a big fan of Agatha Christie. I love her writing and have read piles and piles of her books. So I feel a bit queasy when my first review of one of her books is panning it. But I can’t recommend this book to anyone—especially not to anyone who hasn’t read Agatha Christie before. You might get the impression that she is a hack, formulaic writer with cardboard characters who all spout the same dialog. You might read this book and think that Agatha Christie writes mysteries with predictable plot I am a big fan of Agatha Christie. I love her writing and have read piles and piles of her books. But I can’t recommend this book to anyone—especially not to anyone who hasn’t read Agatha Christie before. You might get the impression that she is a hack, formulaic writer with cardboard characters who all spout the same dialog. You might read this book and think that Agatha Christie writes mysteries with predictable plots and too large of a social agenda. You would be right if you based your judgement solely on this novel. In fact, there is a part of me that desperately wants to believe that this book is a forgery. Perhaps Christie decided to loan her irascible detective Hercule Poirot and the self-parodying Ariadne Oliver out to another author, an apprentice perhaps. That might explain the travesty that is this novel. Yet, I look at the date of this novel—1969—and realize that perhaps one of my favorite mystery authors was simply getting tired of her characters and writing to meet a deadline. Perhaps she had used up all of her suspenseful endings and gripping characterizations. Granted, Curtain--a novel that ranks with her best works—was still to come, but I think this novel was part of the reason she was so ready to give Poirot his send-off. The book begins slowly, pouring all sorts of irrelevant details and descriptions over us as if Christie hadn’t yet decided in which direction she was going to take the novel and what information would end up being useful. Even when the murder takes place—the murder of a 13-year-old girl at a Hallowe’en party—there isn’t a lot of drama. The book gets worse as we have to listen to each and every character spew forth the popular drivel about criminals not being responsible for their actions and that the murder must have been committed by an insane person let out too early from a mental institution due to overcrowding. It wouldn’t have been so bad if only two or three people had proposed this as a solution, but to have every person interviewed jump on this bandwagon and speak almost identical dialog made for a boring read. Indeed, the only diversity in opinion came from Poirot himself, who maintained that this was a murder with a motive. As the readers, we have no doubt. Dame Agatha does not write murders without motives. So it would have been nice if at least a few of the characters Poirot interviewed could have had a distinct voice. I was also disappointed because typically Christie is able to produce an ending that is both surprising and memorable. In this novel, I was able to figure out who the murderer was when Poirot was first given a list of past murders. There was one slight twist at the end, but it was neither surprising nor interesting. The ending of the book was nothing but painful. Christie labored at building suspense using all sorts of techniques to the point where the techniques got in the way and the reading was simply wearisome. She holds off on revealing who-dun-it until long after the reader has any doubts, making the denouement simply a relief that the book was almost over, rather than a delightful surprise. 10/23/18: Still trying to find that perfect Halloween read? Maybe you aren't a fan of horror or don't want to be afraid but still want the feeling of the Halloween season? If this is the case, than this may be the perfect book for you! I read Hallowe'en Party last year on Halloween night and I had a lot of fun with it. This is one of the Hercule Poirot books and if you are a fan of him, his calm and efficient manner in solving mysteries, than what are you waiting for? Pick this one up! The main 10/23/18: Still trying to find that perfect Halloween read? The main plot revolves around a children's Halloween Party and what one child claims to have witnessed during that party. A murder ((dun dun dun)) Is this kid full of it or what? What a fun Halloween read this one was! A fan of Agatha Christie, I've had this one on my TBR pile for too long. For the last three years I have checked this book out for Halloween with grand plans to read it. And something always comes up. Last year, my mother in-law snagged it from me and read it while visiting. This year I was determined and I'm so happy I finally finished it. Hallowe'en Party tells the story of a Halloween Party thrown for some teenage kids where things go horribly wrong and What a fun Halloween read this one was! A fan of Agatha Christie, I've had this one on my TBR pile for too long. For the last three years I have checked this book out for Halloween with grand plans to read it. And something always comes up. Last year, my mother in-law snagged it from me and read it while visiting. This year I was determined and I'm so happy I finally finished it. Hallowe'en Party tells the story of a Halloween Party thrown for some teenage kids where things go horribly wrong and one child ends up drowned in the bobbing for apples bucket. The child just earlier that evening had been boasting that she had seen a murder. Naturally, no one believed her. But then she is murdered herself. Low and behold, one of the guests at the part is a famous mystery writer who just happens to be friends with none other than Mr. Hercule Poirot. And from there, this wonderful storm just steamrolls through this haunting mystery. The town doesn't appear as idyllic as most think as Poirot finds as he begins his investigation....there have been other murders too. But the famous detective is on the case, which will soon be solved. Oh I really enjoyed this one. I used to read Agatha Christie so long ago and frankly, I'm not sure why I moved away from her books. I really enjoy them. Which is odd as I'm not a huge mystery fan but always make an exception for Ms. Christie. Not being a mystery fan....but found it shocking that I pegged the culprit early on in the story. Probably just dumb luck on my part. Ha! While some of Agatha Christie’s mysteries remain immensely satisfying, there are a few that just don’t work, whether from cultural shift or a more experimental approach. I was worried when I picked up Hallowe’en Party; I had been operating with a suspicion that her best work was earlier in her extensive career. However, it wasn’t long before my concern was dismissed as I settled into an engrossing tale of Hercule Poirot investigating a murder at a Halloween party. Poor Joyce; thirteen and a bit d While some of Agatha Christie’s mysteries remain immensely satisfying, there are a few that just don’t work, whether from cultural shift or a more experimental approach. I was worried when I picked up Hallowe’en Party; I had been operating with a suspicion that her best work was earlier in her extensive career. However, it wasn’t long before my concern was dismissed as I settled into an engrossing tale of Hercule Poirot investigating a murder at a Halloween party. Poor Joyce; thirteen and a bit desperate for attention, she’s become known for telling tales. Perhaps hoping to impress Mrs. Oliver during the preparations for a Halloween party, she claims to have seen a murder. When the Halloween party is over, Joyce is discovered dead, but only Mrs. Oliver connects the earlier boast to the death–the rest of the village is prefers to blame an anonymous unstable person. She calls on dear, aging Hercule. He concurs with her fine instincts and arranges to stay with retired Inspector Spence, coincidentally living in the same village. Hercule focuses on Jane’s tall tale, convinced the solution lies in the past. He digs into the history of the village; a disappearing au pair girl, a wealthy widow who died unexpectedly, a forger who was stabbed, a man killed in a hit-and-run, a strangled girl in a gravel pit. As he talks with the villagers, the ominous atmosphere increases. Straight from the mouth of a seventy-nine year old. What started out as a unique and interesting mystery soon turned into a rather tedious read with bland characters and a repetitive storyline. The resolution was acceptable yet disappointing as it seemed to be a jumble of happenings that an amateur detective (or reader) could not have pieced together. I was left feeling like there was absolutely no way I could have figured it out, like the clues were never given. Maybe they were there though as I found the book to be so disjointed that I was neve What started out as a unique and interesting mystery soon turned into a rather tedious read with bland characters and a repetitive storyline. The resolution was acceptable yet disappointing as it seemed to be a jumble of happenings that an amateur detective (or reader) could not have pieced together. I was left feeling like there was absolutely no way I could have figured it out, like the clues were never given. Maybe they were there though as I found the book to be so disjointed that I was never interested enough to try and figure out the clues. I chose this as a Halloween read but other than the murder occurring on Halloween, there is no Halloween element to the book. The lack of suspense paired with the meandering plot warrants only a 2 star rating from me. It definitely didn’t grab me and in my opinion, it’s not one of Christie’s best works. You are a truly annoying little girl. A busybody, a liar. Who can trust you? For the good of the community, a-bobbin' for apples you must go – like permanently. But death is not the end! From on high you witness the actions of a strange mustached man and his flighty authoress sidekick. Together they vow to avenge your murder and lay your lovely bones to rest. They believe in your tale of dastardly deeds and murder, the tale that brought you to such an untimely end; thei Choose Your Own Adventure! You are a truly annoying little girl. A busybody, a liar. Who can trust you? For the good of the community, a-bobbin' for apples you must go – like permanently. But death is not the end! From on high you witness the actions of a strange mustached man and his flighty authoress sidekick. Together they vow to avenge your murder and lay your lovely bones to rest. They believe in your tale of dastardly deeds and murder, the tale that brought you to such an untimely end; their quest for vengeance will lead them to all who once stood in judgment of you. Unfortunately, your legacy remains that of an unrepentant liar and even your avengers soon grow weary of your string of lies and deception. Turn from the truth, little soul, fly away! But wherever shall you go? I had my hunches and finally figured out most of the mystery, with a 1/4 of the book left. This was a fun book and an interesting ending. Not one of her best books but still highly entertaining. While helping to decorate for an upcoming HALLOWE'EN PARTY a contentious thirteen year old comments that she once witnessed a murder, but when no one believes her, she high-tails it for home, and only a few hours later, after the party, she is found drowned in the apple-bobbing tub........hence another murder mystery to solve for ole Hercule Poirot with his manicured to perfection mustache, too tight patent leather shoes and never-ending search for the truth. This is very much a later Christie novel – written in 1969 and virtually one of the last Poirot novels she wrote. Poirot is very much, like the author I suspect, feeling his age. We meet him bemoaning the fact that a friend is probably cancelling a visit and contemplating another dull evening, when he gets a call from his old friend, Mrs Ariadne Oliver. Mrs Oliver, a crime author, had been visiting a friend and helping with the organisation for a joint Halloween/11+ party for some children. Duri This is very much a later Christie novel – written in 1969 and virtually one of the last Poirot novels she wrote. Poirot is very much, like the author I suspect, feeling his age. We meet him bemoaning the fact that a friend is probably cancelling a visit and contemplating another dull evening, when he gets a call from his old friend, Mrs Ariadne Oliver. Mrs Oliver, a crime author, had been visiting a friend and helping with the organisation for a joint Halloween/11+ party for some children. During the preparations, one girl, Joyce, boasts that she once witnessed a murder. Her words are not believed, but, later that same day, she is found murdered and now Mrs Oliver turns to Poirot for help. This book reunites Poirot both with Mrs Oliver and the, now retired, Superintendent Spence from “Mrs McGinty’s Dead,” as he lives nearby. There is a little personal complaining from the author about the modern world – boys hair, children’s behaviour and a little repetition, which does show that Agatha Christie is not quite at the peak of her powers. However, even with a few flaws, this is still a very enjoyable novel. Poirot delves into the past to find out who, and why, a murderer would kill a child. As such, this is very much a more ‘modern’ novel – Poirot is constantly told by characters how many unbalanced characters abound, there is no longer a death penalty and the world seems a more dangerous place. As such, it is an interesting novel for Poirot fans, as a glimpse of Christie’s views of the permissive society and, as such, of how Poirot viewed the modern world. Joyce is a 13-year-old girl helping set up for a Halloween party. Amid the preparations, she brags about having witnessed a murder once. Most that hear her simply suppose that she is trying to impress Adriadne Oliver, a noted murder mystery author that is in attendance, so they pay litte mind to her. Joyce storms off only to be found dead in the library, by the bobbing-for-apples game later that evening. Its Mrs. Oliver that contacts Hercule Poirot. Poirot is ever as eager to pursue the case and Joyce is a 13-year-old girl helping set up for a Halloween party. Amid the preparations, she brags about having witnessed a murder once. Most that hear her simply suppose that she is trying to impress Adriadne Oliver, a noted murder mystery author that is in attendance, so they pay litte mind to her. Joyce storms off only to be found dead in the library, by the bobbing-for-apples game later that evening. Its Mrs. Oliver that contacts Hercule Poirot. 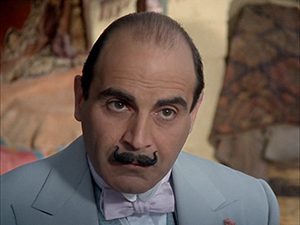 Poirot is ever as eager to pursue the case and what he uncovers will be a complicated web of lies and deceit. Shortly after confessing she had once witnessed a murder, thirteen year old Joyce is found having drowned in an apple-bobbing tub during a Halloween Party. Famed investigator Hercule Poirot is brought in to uncover the killer. I’m not going to lie, for a book that seems to be heavily marketed as a Halloween-centric novel, I was disappointed to discover that the story has little to do with Halloween. Yes, the inciting incident takes place during a Halloween party, but the season is dropped prett Shortly after confessing she had once witnessed a murder, thirteen year old Joyce is found having drowned in an apple-bobbing tub during a Halloween Party. Famed investigator Hercule Poirot is brought in to uncover the killer. I’m not going to lie, for a book that seems to be heavily marketed as a Halloween-centric novel, I was disappointed to discover that the story has little to do with Halloween. Yes, the inciting incident takes place during a Halloween party, but the season is dropped pretty quickly once Poirot gets down to business. Speaking of getting down to business, I really liked the way Christie had Poirot approach the case. Supposing that what Joyce had said was correct, Poirot worked backwards from any unsolved murders in the sleepy town’s history in order to possibly uncover a motive for Joyce’s killing. This added a few layers to the story which kept things moving briskly. Christie is a master of misdirection, not that I need to tell you that. The culprit changed in my mind many times during the story and at the end of the day, I still didn’t see the reveal coming. However, you could also probably chalk that up to my inability to see through red herrings. The ending, while it seemed a little out there when compared to the two novels I previously read, was certainly plausible. This being the third to last Poirot book, you could tell that Christie had begun to wind him down. He often complains about being sore after exerting only a minuscule amount of activity and often laments his age. I tried doing a little light research into Hercule’s age and given that many believe he is 62 in the first novel, that would make him 115 in this book - so that can’t be right. Although, in her autobiography, Christie has said that one of her biggest regrets was starting with Poirot at such an advanced age, I suppose it’s not that important given that he’s a fictional character and that Christie can do what she wishes. There’s another school of thought used in the Official Agatha Christie Companion applying an age formula that supposes that Poirot ages 2 years for every 3. This would make him a spry 93 at the conclusion of the final novel in 1975. Feeling a bit torn about this one. On one side I very much enjoyed this story with our Poirot doing his thing. The mystery was a good one, suitably horrible with the death of a child, and for once I got the identity of the killer (yippee - but not the exact motive). On the other however, I found the many references to this contemporary time quite jarring. I expected one type of vocabulary and got sometimes something quite different. I know that Christie carried on writing until her death in 1976 but somehow I always associate her with the 50s and before. I'm sure I've read many of her later books but I don't recall ever feeling like this. Another important factor for the pros is of course Ariadne Oliver. What an amazing character! She leaps off the page with her ecccentricity and humour. I absolutely love her. Questa volta rincontriamo un’amica di Poirot, Ariadne Oliver, già protagonista di Carte in tavola, libro che ho apprezzato tantissimo, soprattutto per tutte le discussioni di argomento metaletterario che compaiono di tanto in tanto. Ariadane Oliver should really stop attending parties or planning any special events because once again Hercule Poiriot was needed. This time to try and solve the murder of a young girl that hours before her death claimed that she "had seen a murder once." Turns out this English village has more than a few missing people, forgers, accidents, and murderers. My head was spinning! It is Autumn, this week there have been storm clouds in the sky and wind pulling leaves off branches. I am preparing for Halloween and hopefully a horde of trick or treaters who will be knocking on doors in the near future. In my preparation, I was also listening to Christie’s ‘Hallowe’en Party.’ It is a book I have not read by an author I consider an old friend – even if I never met her. Agatha Christie and her beloved Belgian Hercule Poirot are special to me. I watched the series with Hugh Fra It is Autumn, this week there have been storm clouds in the sky and wind pulling leaves off branches. I am preparing for Halloween and hopefully a horde of trick or treaters who will be knocking on doors in the near future. In my preparation, I was also listening to Christie’s ‘Hallowe’en Party.’ It is a book I have not read by an author I consider an old friend – even if I never met her. Agatha Christie and her beloved Belgian Hercule Poirot are special to me. I watched the series with Hugh Fraser as Hastings and David Suchet as Poirot with my family as a child. Recently, I watched several with my father and they withstood the test of time. It was with joy I found out the narration was done by Hugh Fraser heightening a sense of nostalgia for me and I burrowed down into blankets and dogs to enjoy this mystery. Hercule Poirot is older now, at the end of his career, but he still seeks justice with a well-groomed mustache and patent leather shoes. At the request of his friend the famous murder mystery writer, Ariadne Oliver, he has come to help solve the death of a young girl. Ariadne was invited to her friend’s house for a Halloween Party. Amidst the broom decoration, witches telling young girls fortunes, bobbing for apples, and the snapdragon a girl is found drowned. Not in a mundane fashion either, she was found with her head floating in the tub used for bobbing for apples. No one can think why someone would want her dead. She wasn’t delightful, in fact she was known to seek attention by lying, but she wasn’t what one would consider special. Ariadne heard the young girl boasting of having seen a murder to her friends, but when no one believed her she flounced off in a huff. It wasn’t until the party was over anyone noticed her disappearance. Ariadne, noticing something more sinister, insists Poirot come and use his skills to find out what is really happening in this quiet village. Christie’s writing is as enjoyable as ever. Her humor in these delicate murder mysteries is part of what I think made her stories unique and loved. She never skimped on creating real whole characters. ‘Hallowe’en Party’ is not long but it is packed with a good mystery, and commentary on the times it was written. This was published in 1969 and while it still holds the atmosphere of a quiet English village you can feel Christie seeing the changes in England as she writes about it, including the changing opinions on children, accountability, and justice. Much is said about how making “morally right” decisions can have larger, and in Christie’s view more negative, impacts on children and society. The Halloween party is perfect. You get a lot of discussion about village witches, the difference between pumpkins and vegetable marrows, young girls seeing their future husbands in mirrors, and a Snapdragon. I had no idea what a Snapdragon is. For your information ‘Snapdragon’ is a Victorian parlour game where raisins are put in a shallow bowl filled with brandy. The Brandy is lit and children try to grab the “snapping” raisins from the bowl. It sounds a touch dangerous to me but it definitely fits as a fun Halloween game (even if it usually took place at Christmas time). Another case of book and film reviews overlapping. The book is a hot mess and I'd give it 2.5 stars on its own merits. The entire plot is muddled and there are more loose ends than a fringed vest, but this isn't a surprise as Mrs. Christie was almost certainly suffering from dementia when she wrote this book. The cast is vast, their interconnections vague, and the motive for the murder was (while the same in both versions) significantly less well explained in the book. The filmed version is superior, as one would expect from work coming from the inspired pen of Mark Gatiss. He is, after all, one of the geniuses behind the stellar re-imagining of Sherlock Holmes, Sherlock, among other television delights. The primary benefit the story has on film versus page is the opportunity to clean up the clutter. The story's essential horror comes from untrammeled greed in both versions, but the film's pace and slimmed-down cast make the experience hugely superior. In my never-humble opinion, of course. Ariadne Oliver, stop going to parties! Murder seems to follow you to parties; what a bad guest! A girl is murdered at a party and a shaken Ariadne pulls Poirot into the case, which I partly figured out with my own ‘little grey cells.’ I really enjoyed Ariadne’s presence, which, though not large, still entertained me. And really, Poirot! Patent leather shoes in the country while you walk from location to location during your inquiries? Though you are intelligent when it comes to figuring out who’s Ariadne Oliver, stop going to parties! Murder seems to follow you to parties; what a bad guest! I love reading mysteries because they really made my brain tick. They deliver more than a mindless hobby, which reading can sometimes be and really gear me up and make me alert for clues, suspects and provide with great satisfaction when I find myself on the right track. Having said that, Agatha Christie and her charming books fit that hunger to a tee, I find their slightly old fashioned approach so charming and alluring that I always finding myself craving them. She is still my favorite mystery I love reading mysteries because they really made my brain tick. They deliver more than a mindless hobby, which reading can sometimes be and really gear me up and make me alert for clues, suspects and provide with great satisfaction when I find myself on the right track. Having said that, Agatha Christie and her charming books fit that hunger to a tee, I find their slightly old fashioned approach so charming and alluring that I always finding myself craving them. She is still my favorite mystery author even though I have hundreds of other books, mostly those leisurely silly cozy mysteries that are cute but nowhere near as intricate as a Hercule Poirot mystery. This tale was different than most Hercule Poirot books I read. For starters the story begins with a death of a child, not something I am accustomed to reading, and creepy, depressing as it may be it was a hooking point for the real mystery that seemed to have spanned years back. When a children's Halloween party is disturbed by Joyce, who was found drowned in a tub full of water and apples that were there for apple bobbing, everyone dismisses her previous claims of witnessing a murder as another one of her lies. The trouble was that the girl was known for making things up but did she lie this time or was there truth to what she said? Her corpse was proving one point while logic and clues around it were not making any sense. Poirot decides to investigate any unusual incidents that happened approximately at the time of Joyce's story and tries to connect the past with the present making for a very interesting read. “I hate water”—Ariadne Oliver, once rescued at sea by a friend. Hallowe’en Party, Hercule Poirot #36, the second to last Poirot novel, published in 1969, and the second to last written, since Curtain was written in the forties, ready to publish when the end would finally come about (which didn’t happen for more than a quarter of a century later!). To say this is better than you’d expect is no compliment, of course, but it is j “I hate water”—Ariadne Oliver, once rescued at sea by a friend. Hallowe’en Party, Hercule Poirot #36, the second to last Poirot novel, published in 1969, and the second to last written, since Curtain was written in the forties, ready to publish when the end would finally come about (which didn’t happen for more than a quarter of a century later!). To say this is better than you’d expect is no compliment, of course, but it is just is. I had little expectations except to be happily surprised at the cleverness of some aspects of the ending, as I always am, and in that respect was not disappointed. Hostile 13-year-old Joyce, known to be a compulsive liar, tells everyone at a Halloween Party for “Plus Elevens” that she once saw a murder; when no one believes, she leaves in a huff and is promptly drowned in the tub for bobbing apples. This is the second of the Poirot books, both of them written when Christie was a grandmother, where children die, and almost die. An expression of grandparently worry? But Christie is (largely) consistent; if you think a murder has to do with madness or magic, you are wrong. Sprites or drooling crazies are not generally killers in Christie. It is usually greed, at the base of things, in some way or the other. You need a reason to kill. The killer in this tale kills for greed, but it is money s/he requires to create Beauty, to make Art. So s/he kills, in the manner of Agamemnon, who sacrificed his daughter Iphegenia so that he could get a wind to take him to Troy. “There is always a brave world, but only, you know, for very special people. The lively ones. The ones who carry the making of that world within themselves.”—Poirot. It is "scatty” detective writer Ariadne Oliver that invites Poirot to help solve the murder(s), which do pile up near the end. She's a lively character, the best thing that came to the imagination of the later Christie. Here's some free advice: If you want to impress people at a party, choose some topic other than "when I was a kid I saw a murder but I didn't know it was a murder and I just figured it out and isn't it awful and aren't I clever." Cracking good mystery, what what. Halfway through I thought I had it figured out, but it turned out I had only about 5 percent of it right. You expect red herrings in any mystery novel, but this one had about two dozen. I was SO SURE the guy with the fake beard would tur Here's some free advice: If you want to impress people at a party, choose some topic other than "when I was a kid I saw a murder but I didn't know it was a murder and I just figured it out and isn't it awful and aren't I clever." Cracking good mystery, what what. Halfway through I thought I had it figured out, but it turned out I had only about 5 percent of it right. You expect red herrings in any mystery novel, but this one had about two dozen. I was SO SURE the guy with the fake beard would turn out to be THE KEY TO THE WHOLE THING. Dame Agatha Christie penned Hallowe’en Party quite late in her career; it was published in the United Kingdom late in 1969. Consequently, readers, more accustomed to mentions of absinthe than of L.S.D. and of manservants than of miniskirts, will find mentions of long-haired hippies and hipsters “wearing a rose-coloured velvet coat, mauve trouses and a kind of frilled shirting and other aspects of the swingin’ ’60s a bit jarring. Don’t let that put you off. Hallowe’en Party has the same clever pl Dame Agatha Christie penned Hallowe’en Party quite late in her career; it was published in the United Kingdom late in 1969. Consequently, readers, more accustomed to mentions of absinthe than of L.S.D. and of manservants than of miniskirts, will find mentions of long-haired hippies and hipsters “wearing a rose-coloured velvet coat, mauve trouses and a kind of frilled shirting and other aspects of the swingin’ ’60s a bit jarring. Don’t let that put you off. 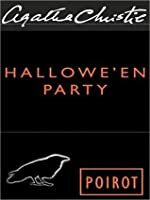 Hallowe’en Party has the same clever plotting, humorous asides and memorable characters as many of Christie’s earlier novels. A boastful 13-year-old girl, Joyce Reynolds, brags about having witnessed a murder during the preparations for a Halloween party later that evening. During the party, the girl is drowned in the huge galvanized bucket used for bobbing for apples. A coincidence? Mystery writer Ariadne Oliver (a send-up of herself that Christie inserted in quite a few of her novels) doesn’t think so — and neither does her good friend, Hercule Poirot. And while others think Joyce, who was fond of prevarication in order to garner attention, invented her claim, Poirot is certain that Joyce’s death is tied in with at least one of several suspicious deaths — if not more — in the village of Woodleigh Common the last few years. Hercule Poirot does yeoman’s work — aided by Mrs. Oliver, retired Superintendent Spence (both of whom figure prominently in 1952’s Mrs. McGinty's Dead) and a few others — in unraveling the tangled mystery of Joyce’s murder and several others. I couldn’t put the book down —neglecting much-needed chores and errands — and read it in a day! While preparing for the upcoming Hallowe’en Party, thirteen-year-old Joyce Reynolds begins boasting about a murder she claims to have been a witness to many years ago. The reason she gives for not coming forward sooner was she didn’t realize it was an actual murder until recently. For the most part, no one took much notice of her ramblings but someone apparently did. At the Hallowe’en Party, Joyce was found drowned in the apple-bobbing tub. The immediate reasoning for her own death seems to be t While preparing for the upcoming Hallowe’en Party, thirteen-year-old Joyce Reynolds begins boasting about a murder she claims to have been a witness to many years ago. The reason she gives for not coming forward sooner was she didn’t realize it was an actual murder until recently. For the most part, no one took much notice of her ramblings but someone apparently did. At the Hallowe’en Party, Joyce was found drowned in the apple-bobbing tub. The immediate reasoning for her own death seems to be the death that she witnessed. Tis the season for a good murder mystery and what better than a murder mystery which occurs at a Halloween Party? This was my train of thought going into this one but that thought quickly derailed. This is my second Agatha Christie book (my first being And Then There Were None — it pains my to rate a Christie book so low after that one) and my first foray into the Hercule Poirot series and even though I’ve been told that they all manage well as stand-alones, that you can jump right in at any point, Hallowe’en Party was clearly a poor starting point. I started reading this in print and was at first enjoying it but once Poirot began his investigation I kept wanting to put the book down in favor of more interesting things like laundry and vacuuming. I tried powering through but I failed when I began to think I was so out of it I was forgetting to turn the pages and was reading the same passages all over again because the many people he interviewed all had the same. exact. things to say about Joyce. Poirot’s investigation seemingly led no-where yet he was able to postulate exactly who the killer was with little to nothing to go on. Good for you, Poirot. I guess that’s why you’re the detective and I am not. It was all very wearisome though. I switched to listening to the audio after a bit so I could multi-task and have exciting times in laundry folding as well. Poirot was quite a character but I haven’t given up completely on him; I do still anticipate reading the earlier installments (Yes, Dani, like Murder on the Orient Express ). He was like a quirky, French version of Sherlock. I’m at least thankful that Sherlock isn’t weird about his facial hair as Poirot clearly is. I’m not sure I’d call it “magnificent” but it’s certainly something. My very first Agatha Christie.. And certainly not my last one either! I had figured out the murderer, sort of, but hadn't guessed all the details relating to the murder, etc. And you can't My very first Agatha Christie.. And certainly not my last one either! I loved most characters and the way Christie describes them + liked the very English tone and irony. However, I don't know how to feel towards some of the views (on justice, murders related to mentally ill people, youth, etc) expressed in the novel. I sometimes felt like they were outdated ways to think about those subjects, maybe because the novel was written in 1969? Or maybe these were the views of Christie herself, and as she was growing old, her ideas were too..? Oh, how I love this novel. I re-read it nearly every Hallowe'en. It is the last great novel that Christie wrote featuring Poirot; after this, he appeared in the not-so-good Elephants Can Remember, and then came the final Curtain (actually written many years earlier). It also features Mrs. Ariadne Oliver at her absolute best--one sees so much of Christie in her fictional avatar, especially her wonderful sense of humor. Mrs. Oliver is allowed to express many thoughts on the trials of writing myste Oh, how I love this novel. I re-read it nearly every Hallowe'en. It is the last great novel that Christie wrote featuring Poirot; after this, he appeared in the not-so-good Elephants Can Remember, and then came the final Curtain (actually written many years earlier). It also features Mrs. Ariadne Oliver at her absolute best--one sees so much of Christie in her fictional avatar, especially her wonderful sense of humor. Mrs. Oliver is allowed to express many thoughts on the trials of writing mystery fiction--no doubt Christie's own experiences. The premise is deliciously macabre and dramatic: a child says she has witnessed a murder, then almost immediately is found drowned in a bucket of apples meant for bobbing at a Hallowe'en party. Mrs. Oliver is put right off of eating apples for the time being, and Poirot is called in to help. The solution makes perfect use of Christie's ability to conceal the crucial clue in plain sight. My first Hercule Poirot novel—probably not the best one to start with, but still very enjoyable. Having enjoyed David Suchet’s portrayal of M. Poirot, I felt I had the basis of the character and was quite comfortable jumping in at number 36 (!) of the Poirot mysteries. I really enjoyed getting a contemporary look at the late 1960s in Britain in this novel—the young men with their sideburns and their fancy fashions! Plus, Dame Agatha is such an accurate observer of the human condition. She include My first Hercule Poirot novel—probably not the best one to start with, but still very enjoyable. Having enjoyed David Suchet’s portrayal of M. Poirot, I felt I had the basis of the character and was quite comfortable jumping in at number 36 (!) of the Poirot mysteries. I really enjoyed getting a contemporary look at the late 1960s in Britain in this novel—the young men with their sideburns and their fancy fashions! Plus, Dame Agatha is such an accurate observer of the human condition. She includes all the types that I would expect to find in a small town: the catty gossips, the one woman who seems to organize everything and is simultaneously appreciated and resented for it, the cads, the bounders, and the decent men. Probably not the strongest entry in Christie’s canon, but it filled a very enjoyable evening. Read to fill the Set on Halloween square on my 2016 Halloween Book Bingo card.